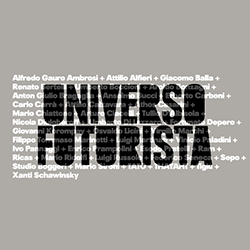 Turismo in Pianura - Mostra "Universo Futurista"
The Fondazione Massimo and Sonia Cirulli will open its doors April 21 with the exhibition Universo Futurista, curated by Jeffrey T. Schnapp and Silvia Evangelisti. The exhibition focuses on the nucleus of artworks in the Fondazione’s collection that best represent the historical period in which Futurism thrived (1909-1939), a time in Italian history that never ceases to generate debates among scholars and the general public, through exhibitions and books. Futurist aesthetics finds its origins in a novel approach to the conception of artistic creation, which moves beyond the boundaries of traditional fine arts and seeks to embrace daily life in its totality, in order to become a “total art” that might engender a new bond between art and life. Universo Futurista illuminates this new aesthetic conception through an accurate choice of painting, sculptures, design objects, architectural projects, photographs and photomontages, advertising posters and original documents of all kinds that futurist artists created between 1909 and the end of the 1930s. During the Christmas holidays, the Cirulli Foundation will stay closed until January, 11, with two special openings on December 27 and 28. Workshop: "Let's create a Futuristic book through the techniques of cut-up and collage. In the meanwhile, the parents have the chance to enjoy a special price guided tour to the exhibition.